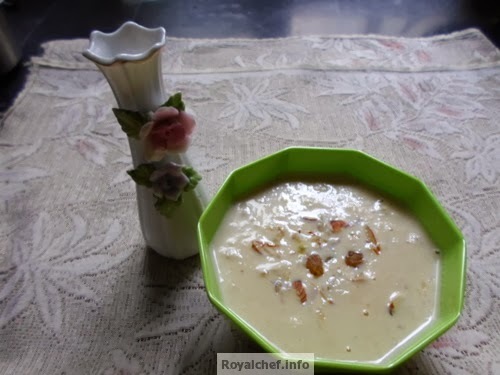 This is a Recipe for making at home sweet and delicious Almond-Apple Kheer. 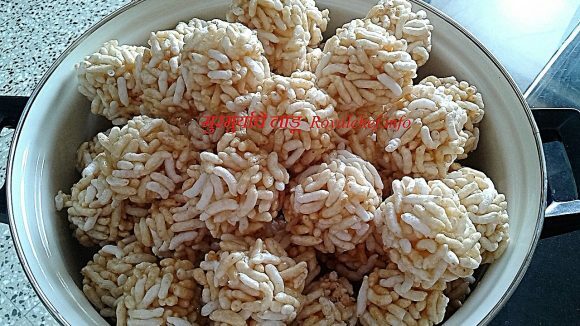 This sweet dish, which is called Badam Safarchand Kheer in the Marathi language is prepared specially for the festival of Gudi Padwa in Maharashtra. 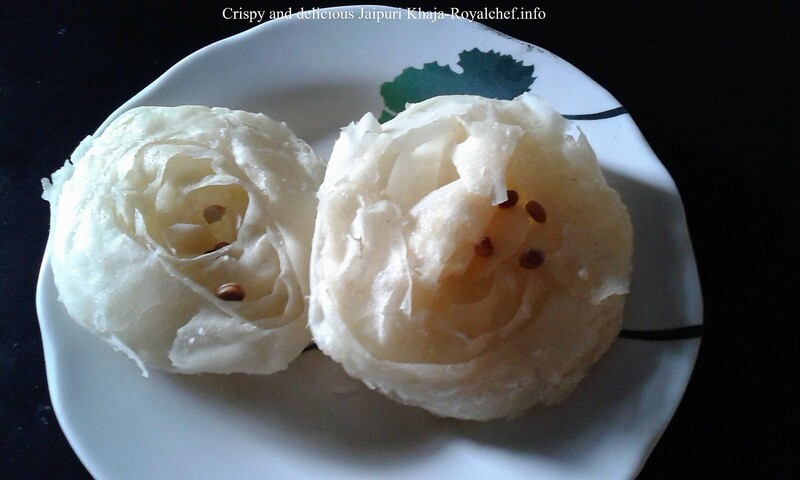 Boil Milk and then add the Khoya and Coconut paste and boil for 2-3 minutes. After that add Sugar, Apple pulp, Cardamom powder, Saffron and fresh Cream and then boil for 2-3 minutes. Serve hot as well cold. While serving garnish with sliced Almond.